Wardrobe Roll 50 and Wardrobe Roll Trio 50 are designed for bypassing, bottom rolling panels. The streamline aluminium profiles for either 2 or 3 lines of track, provide a clean frame making this system ideal for built-in wardrobes. 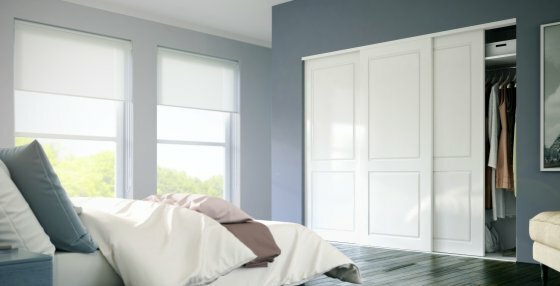 The 50kg panels can be fitted with Brio’s 50SCT Soft Close accessory which ensures panels are caught and closed gently, avoiding slamming doors from causing noise or injury. A mild steel casing houses a precision bearing with nylon tyre which provides whisper quiet operation and long lasting life cycle. Packs sets are available for 2 and 3 panels in either powder coat white or clear anodised.